A speakeasy is an idea we're all familiar with. Most of us can close our eyes and envision it; a windowless room illuminated only by fringed lamps and the flickering gold light bouncing off a wall of whiskey bottles, deep velvet chairs, the clinking of ice in tumblers, the low hum of jazz, secretive banter. But unless you have a time machine, visiting a real speakeasy is something you won't be able to tick off your bucket list. At least not one that illegally serves booze in a Prohibition-era America (aka a terrifying time to be alive). While you'll never know the thrill of drinking questionable bathtub gin underground with the constant threat of a police raid, you can enjoy these spots around Pittsburgh that nod to an era of hidden entrances, secret passwords, and blind pigs. True to its theme, Acacia is hidden in plain sight along East Carson Street -- a roadway more commonly associated with EDM and margaritas than low-key lounges and fine whiskey. The front windows are boarded up and the entrance is a glass door lined with newspaper that makes it look like an out-of-business storefront (which isn't an entirely uncommon sight in Pittsburgh). But inside you'll find a warm and intimate lounge with vintage glassware and a rotating list of classic and signature cocktails like the Hot Sharwood, a blend of apple brandy, curry powder, toasted sesame, overproof rum, cream of coconut, and lime. Acacia's dedicated bartenders can also whip up any classic drink you might want and they're big on educating customers about the history of their cocktails. If an early 20th-century library was transformed into a speakeasy, it would be Butcher and the Rye. The two-story space is adorned with dark wood and leather seating and in place of books, you'll find a sky-high wall of one of the largest selections of whiskeys (600-plus bottles) from around the world. The second floor houses the Rye Bar, which focuses on highly specialized craft cocktails like the Salinger’s Sling, featuring rye whiskey, orange cognac liqueur, demerara, and house coffee bitters. 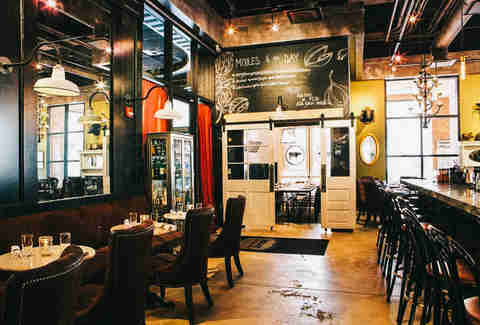 The windowless bar is expansive but intimate and dark, with vintage cleavers and oil lamps lining the walls. 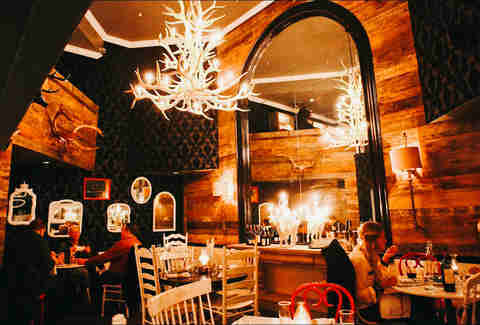 Guests will find lots of nooks and crannies with comfortable seating, including a library lounge and rooms where taxidermied pheasants and a full-size bear will watch over you as you sip on a glass of whiskey. 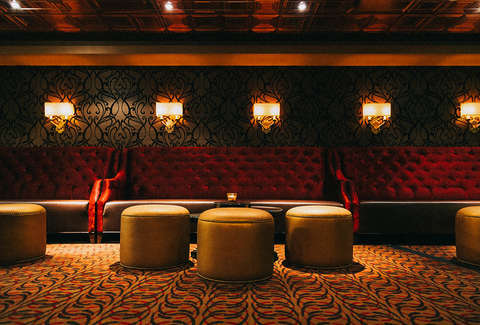 In the suburb of Butler, beneath the Grand Ballroom at Cornerstone Commons, resides a dark and smoky, brickwalled, underground lounge. The entrance is clearly marked, but the winding architecture leads you down to a basement level that, upon entering, is a bit like stepping back in time to 1905, when the (still exposed) foundation of the building was laid. A walk-in humidor stocked with a huge selection of cigars is one of RB's most unique features -- along with a slew of Prohibition-style cocktails like the Gin Rickey, Bees Knees, and Old Fashioned. 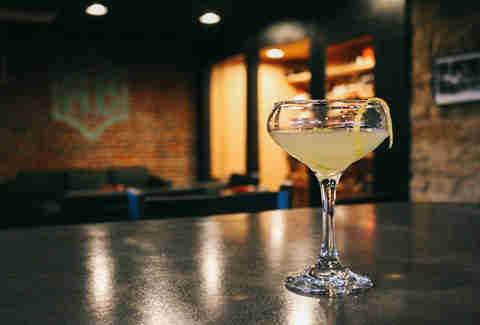 Authenticity is in short supply for bars trying to emulate an almost century-old era, but Speakeasy has serious roots. The space, located underneath the lobby stairs of the Omni William Penn Hotel, was once a legitimate speakeasy. With talk of Prohibition already circling when Henry Clay Frick began planning for his grand hotel in 1910, he preemptively added an underground bar that would feature whiskey from his grandfather's Old Overholt distillery. 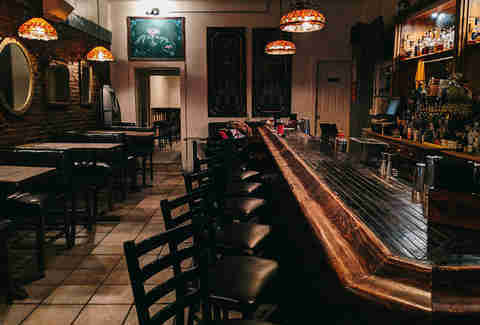 After Prohibition was repealed, the room became storage space for decades, until reopening as a bar on December 5, 2012 (the anniversary of repeal). Among the decor, you'll find Overholt whiskey bottles from the 1910s and antique "Prohibition prescription" signs from a defunct Bloomfield pharmacy; one sign dated 1926 prescribes a "pint of whiskey" with the symptom listed as "insomnia." And in true Prohibition fashion, Speakeasy still has its original escape route running along the foundation and up a set of stairs to Oliver Avenue to be used in case of police raids. On the side of the building that houses the lively taqueria Round Corner Cantina, there’s a red door with a small, cryptic sign hanging above it. 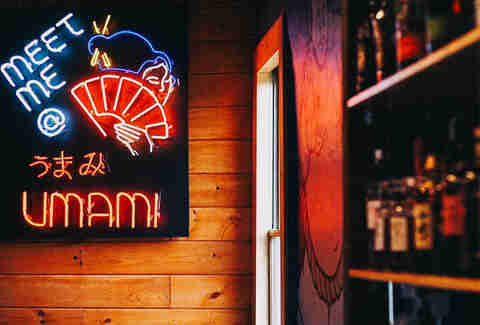 From there, a winding staircase filled with red neon signs, muffled music, and the smell of a binchotan grill leads to Umami. This izakaya may not be the most obvious choice for a collection of speakeasy-inspired bars, but Umami's discreet position above Butler Street and dark, intimate interior and earns it a place on this list. And, unlike its fellow bars, Umami boasts a full menu of sushi and robata, as well as Pittsburgh's largest selection of Japanese whisky, all of which is served until 2am on weekends.